Sign Petition: End the Cruel and Inhumane Trapping and Hunting of Bobcats! Help us pass a Citizen’s Petition that is asking the Colorado Parks and Wildlife Commissioners to ban the trapping and hunting of bobcats throughout Colorado. Bobcats are mostly hunted for their fur, which is then sold to China and Russia to make high-end fashion items. The rest of the carcass is discarded. Due to Amendment 14, trappers in Colorado are only allowed to use box traps. When trappers catch bobcats, they usually strangle them with “choke poles” or kill them by drowning or standing on their chests to suffocate them. The reason they do this is because they don’t want to get blood on their pelts, “there is less of a mess to clean up,” and “the fur is worth more.” Trappers typically don’t shoot the bobcats because they don’t want a hole in the fur or their traps to get damaged. As wildlife advocates, we must organize and resist by raising our voices for the bobcats and for Colorado’s rapidly diminishing wildlife communities. We need each and every one of you to help support this ban and one way to do that is to sign this Care2 petition illustrating just how many of us want our wildlife communties to be protected not destroyed. Join with us and help change these outdated, cruel and inhumane practices during this urgent time when habitat fragmentation is occurring at disastrous rates. Sign this petition today and please sign up for our newsletters to get more information on how you can help protect Colorado’s wildlife! 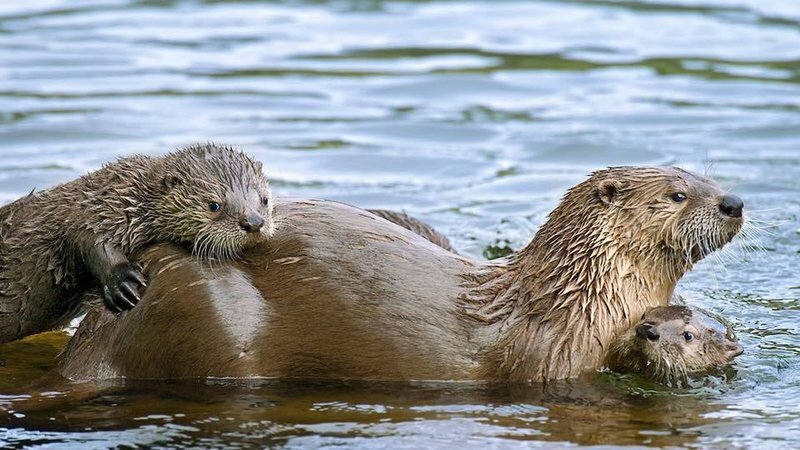 Sign Petition: Threatened Species, Pets and All Fur Bearing Animals Are Cruelly Trapped and Killed! Sadly, hundreds of furbearing animals continue to be trapped every year in the state for nothing more than their pelts, which are being sold in foreign markets. Not only is this harming individuals animals, and posing a risk to others, it’s also harming local ecosystems — especially when top predators are targeted. Not only will it end the suffering of animals who are trapped for their fur, it will also save taxpayers who are currently subsidizing this practice because it’s bringing in far less than what’s being spent to oversee this program. Additionally, it will also help increase wildlife viewing opportunities, which generate far more revenue than trapping does. While this bill is bound to face opposition, it’s being cosponsored by organizations including the Center for Biological Diversity and Social Compassion in Legislation, and will hopefully garner enough public support to pass. The Fenn Mark 6 Rat Trap just claimed another victim, and this time it wasn’t a rat. 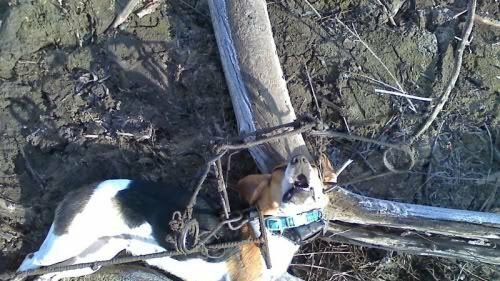 While no animal should be subjected to the torture of a slow death between the metal jaws of an animal trap, it’s even more shocking when the victim is a beloved pet. That’s what recently happened to one unlucky pet cat in Wednesbury, United Kingdom. According to witnesses, after the jaws slammed shut around his neck and throat, he flopped and jostled around frantically as it tried to free itself from the metal clasps. The pain must have been unimaginable and the cat died a gruesome death as people were unable to help. Regardless of their legality, using a spring trap like the Mark 6 is not a humane way of dealing with animals some people regard as pests. They cannot be trusted to reliably kill the intended target instantly without pain, which means that it might suffer for minutes, hours or possibly days before it expires. For example, the Agreement on International Humane Trapping Standards (AIHTS) — which “attempt[s] to establish and enforce an international standard on humaneness for traps” — recommends banning Fenn traps for stoats, a ferret-like animal. The UK will implement the AIHTS by 2019 but the new rules will likely only prohibit Fenn trap use on stoats. That’s not right, these traps should be prohibited outright, not just for use against stoats. They are simply not humane. No animal should suffer the way this poor cat suffered. Not even animals like rats which some people may find distasteful. That’s why we are asking the Department for Environment, Food and Rural Affairs to protect all animals and ban the Fenn trap altogether. The endangered ocelot is dying due to the use of cruel snares and traps. The traps are part of an effort to control predatory animals, but they end up killing innocent animals in the process. Take a stand for the ocelot and support a ban on snares and traps. Don’t let New Yorkers kill animals with snarled traps! The welfare of innocent animals is at risk from a proposed bill that seeks to make cruel snare traps legal. 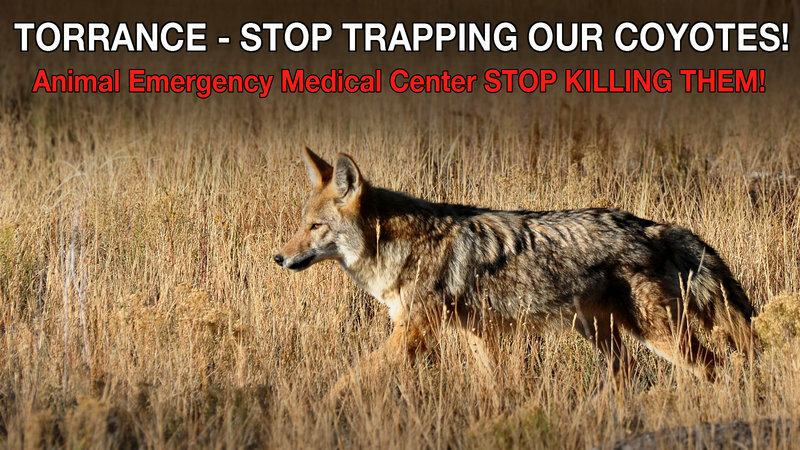 Demand that snare traps remain illegal for the sake of wild animals and household pets. 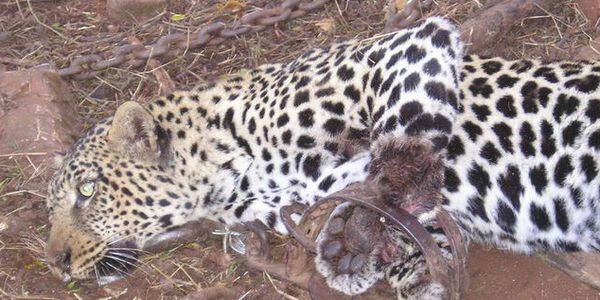 petition: Ask Amazon to stop selling traps used to capture and torture animals! A cat suffered tissue damage after it stepped into a coyote trap. The steel-jawed trap is illegal due to its inhumane mechanism and is dangerous, especially in an occupied neighborhood. Demand an immediate crackdown on illegal trapping. Amazon is currently selling vicious leg-hold animal traps on its website. These traps inflict extreme suffering and can catch, injure or kill non-targeted animals like family pets. Urge Amazon CEO Jeff Bezos to stop selling these cruel devices immediately.